For some reason I get a real kick out of investigating work from home jobs. Well, really curiosity just kills me. My best friend in high school and her boyfriend actually tried this! They told me about seeing an ad in the classifieds sections and paying money to get some kind of “kit” to stuff envelopes at home. Forget getting a real job, they were going to make big bucks stuffing envelopes while watching TV. Even as a 17 year old I thought it was a scam. After they got whatever they ordered I never heard another word about it. They were probably just too embarrassed to tell our group of friends that they got ripped off, and I never asked. Now eleven years later I still see these same ads in the classifieds section of the paper. I wanted to see how this actually plays out. Curiosity killed the cat. Here’s how the stuffing envelopes from home thing actually works. A little bit of Googling showed me exactly how the stuffing envelope from home scam worked. It’s very similar to the posting ads scams – a pyramid scheme. I was actually going to sign up with one so I could show you exactly what you got – but I didn’t want to throw away more than $10 so, sorry guys. The fees for these programs range between $30-$70 dollars. 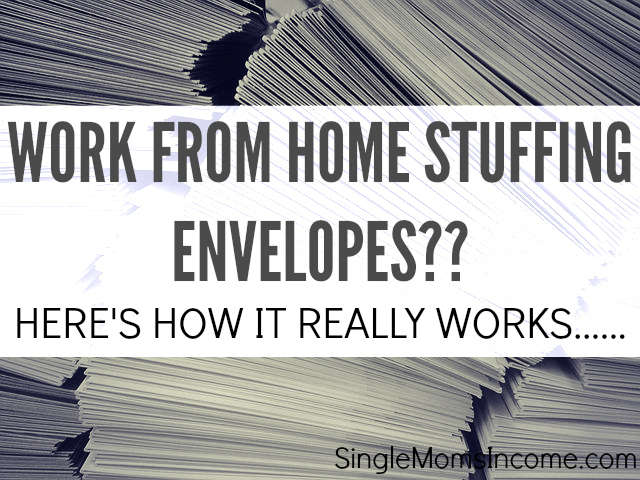 Sign up with a company to “stuff envelopes from home” and pay the start-up fee. You will then get a flyer in the mail that you are supposed to copy and mail to other people. This flyer is telling people how they can make money stuffing envelopes at home. If you’re lucky a few people will fall for the scam in hopes of easy money. If they sign up for the “envelope stuffing” program and pay the insane fee of $30 you get small commission (maybe $5) for their sign up. So as you can see you aren’t really being paid to stuff envelopes. Instead you get a commission to trick other people into signing up to stuff envelopes! There is no product. You’re not promoting a business. All you’re doing is scamming other people into signing up for a scam. Looking to make extra cash? You can check out the 19 BEST money making apps to download here. You know that if it’s too good to be true, it’s too good to be true. Let’s logically think about this for a minute. If you could make hundreds of dollars a day by stuffing envelopes wouldn’t everyone be doing it? And why in the heck would companies pay you to do this when they can instead use technology to do it for them at a much faster pace for a much, much lower price? This machine folds 9,000 pieces of paper per HOUR making everything envelope ready. It’s only a thousand bucks (there are cheaper ones, too!) Nobody is going to pay you to do something that a machine can do much more efficiently! There are no skills required (other than licking an envelope), no degree required, no specialized knowledge, and no hard work. There’s even a stuffing envelopes scam warning on the FTC website. You can make money online. You don’t need a degree you just need the willingness to learn and work hard. Don’t look for the easy way out – it doesn’t exist! They have machines that fold paper!? I feel completely cheated. I spent five years working in the purchasing department of an engineering company and a big part of my job was to fold paper and stuff said paper into envelopes. Granted, this was back when minimum wage was only $5.15 and I was a college kid. I didn’t know Avon and Origami Owl required you to buy a startup kit. I know Mary Kay does. I had a family member who bought a ton of Mary Kay to get started selling and then ended up getting stuck with it all. I don’t sign up for anything that requires me to pay upfront costs either. I have done AVON for over 10 years. The Startup kit is only $15 which comes with more than I bought for $10. You buy as many or as little catalogs as you wish to start. You are not required by AVON to buy products. They have been in business for over 100 years. I think that speaks for itself. I agree. I have sold Avon as well and when I signed up I got lucky, the rep was too busy to sell Avon anymore so I got my books free from her. I spend a lot on their products though. But thinking about going back to it. Fun stuff. Hi, Traci here; I used to sell Avon. I would get stuck with stuff cause they didn’t have any money when I would deliver. I thought you just said the start up kit was $15,now I am confused.Do They Require You To Buy A Start Up Kit Or Not?I mean,we all know its a legit business.Flea Markets are real as well,but I dont choose to buy alot of the good they sell and set up a booth. My ex-wife signed up for Avon. What a waste of money that was. We ended up with a basement full of that crap. Yuck! Yeah… and if you’re lucky… You’ll get someone honest that signs you up. Unfortunately for me… the person that signed me up, not only did not turn in my money for my startup kit. But she also took off with ALL the money from EVERY SINGLE ONE OF MY ORDERS…. Now I’m out hundreds because of ONE dishonest person… Always ask questions! and if it seems fishy, don’t do it… Granted I was 19 at the time. but it screwed up my credit badly. Be aware…. Actually you sometimes can make money stuffing envelopes at home from some local Direct Mail companies. I was a direct mail (bulk mail) department manager who had a a friend and her husband stuff envelopes at home once a month when we did one of our bigggest monthly mailings. We were owned by a small printing company that could not afford the high volume equipment needed. We didntw have the high volume business to justify the cost. Also one customer requested we stuff them with 2 of the inserts placed within the folded letter of introduction. I called several mail equipment providers and was informed that no one makes an inserter that can place more than 1 piece within the folded letter. (such as placing an invoice wihin the folded letter). Equipment doesn’t always work perfectly either. Paper has a tendency to build up static electricity and stick together so that collating machines either pick up more than 1 sheet at a time or shut down when they detect 2. Hand collating resolves this problem. We had a mailing for a local chamber of commerce that required sometime 10 or more different sizes of advertisements inserted into a #14 preprinted envelopes which could become very difficult to do on an inserter. We would send that job to a local service that provided employment to disabled and special needs people. We paid 5 cents per stuffed and sealed mail piece. I agree that the majority of what you find online is a scam however I suggest contacting a local commercial printer and/or direct (bulk) mail company about hand inserting if interested. Stuffing envelopes is almost always a scam. Check out some this or this article for options for legit at home work. I’m unable to drive at times. Due to panic and anxiety attacks and also suffer from ptsd. Can do things from home but can’t get out. So I’m in need of an income but can’t always get to a job. For me at times it’s overwhelming to consider leaving my home. I will pray God will heal you from all your anxiety. Its a tough thing to wake up to every morning. Yes interested in mailing out ads.or anything I can make money on. sir, i see this was 2 yrs ago did u receive anything to work with..
Im interested. Please send me more information about stuffing envelopes at home please. It’s not legit. Please refer to above article. Thank you. Like google bulk mail companies? Hello. I used to work at a place in De Pere, WI that inserts through businesses. It was long hours and low pay. What do I have to do to get started on stuffing envelopes. dont do nothing allllllll scamssssssss. look for something else on line and do research on companies that r legit b4 u work. Is these a scam or not but do they send you the eveoples and you stuff them. Stuffing envelopes isn’t legit. Please read the article. My name is Nick I just lost my job and i asked Google if stuffing envelopes was a legit on line business and ended up here. so Alexa if u could help me out with a on line job .? I have a lot of time on my hands now. I am interested! I’m a mother of two and my husband works nights and we can’t afford a sitter so work from home would be perfect for me please contact me! did you final work with this ? I am interested.but please tell me the details. Hi I read your post and I would be very interested in the job you posted. I’m a stay at home mom so I have nothing but time and definitely could use the money. This is not a job! If you read the post you’ll read that stuffing envelopes is a scam. Oh I wished I had saw all this earlier. I cannot believe I had never heard of the stuffing envelopes scam! Don’t feel bad! At least you know now. Unfortunately the people behind these scams are great marketers and many people get sucked into these scams. Chalk it up as a learning lesson! I am sorry but I feel compelled to say something. People please read the article. I almost believe you deserve to be scammed because of your own reluctant behavior to read an article for factual material. You can’t not see two words in an article and declare content. This poor woman has had to repeatedly say, “This is not a job opportunity, and stuffing envelopes is not legit.”. Bless you dear you have more patience than me by far. I stay at home full time with my special needs 4 year old. I am definitely intrested in doing that for you in exchange for some extra pocket cash. Okay……………not saying that nobody makes money off of it but that it’s a PYRAMID SCHEME. People are lead to believe that they are stuffing envelopes for some legit biz and getting paid for it. In actuality they are sending someone money so that person can send them a paper telling them to ask other people for money so they can send them a paper telling them to ask the next person for money. So can somebody make money off it? Yes – but 99% will lose money, not make money. Is it misleading? Absolutely. Yes, that is true.With your blog Im glad I ran into this. I just fell for that, Paid 12.00 to get the information for this and low and behold,I received the 2 flyers as you stated.They want money to help you get started,a kit. You have to sell your self to make your money back and send 60.00 plus besides. Thank you for your blog,there is help put there however I have not found a home job that is legit.If you really have something you can email me that is legit,I would greatly appreciate it.I am not a fast enough typer to get typing jobs. I dont proofread,not a vitual asssitant and I cant even post as my I phone hates me.I would love to see what you have found. Hey Jan, There are a bunch of different options. Try checking out this post or browsing the work at home job category. Hopefully you can find something that fits your skillset. Im just curious. If you had the money to buy the infrastructure of a franchise…say McDonald’s. Would you still not do it, because you have to pay upfront? bobbi; everything about a job is on line now, very little jobs in the paper, u can learn the internet and computer just like i did in 2004, i learned quick anond been doing it since, its not hard to learn..find a good brand sale for less than 300.00 shop at ur best buy store, they usually have good sales.. I Think It Would Be A Good Thing To Stuff Elevlopes I would like To Give It A Try. Thank you for the info. Fyi.the survey thing I have never got a dollar for that.and I have filled out many surveys. I always thought it was a scam. I never bothered to see how it works by am glad to know now. It kind ft reminds me of those chain letters where you place a self addressed envalope along with the letter and mail it off. Then sending $1.00 to each of the top 5 people on the list. This chain letter promised you would make a ton of money doing this. I never bothered with that either. The one thing I do remember helping my mom do was wrap peanio wire. We did it for a couple of months before she decided t wasn’t worth it. I never heard of the chain letter thing. But this definitely sounds like something similar! Thanks for explaining how this worked. I’ve always been interested in what these get rich from home opportunities were all about! I look at it as the old school version of “Make $$$$ a day just by checking your email!” type scams. Well You can’t really say scam can you. Since There is actually a chance of making money even though it is kind of shady/dodgy. I guess a better term would be pyramid scheme! It reminds me of the new (with a old concept) TSU network. Getting paid for inviting people and liking random post and feeling pushed to create content. Yeah, pyramid scheme would probably be the best word. Although, I do think it’s kind of a scam in the way the represent it. When you go to sign up it sounds like you’ll be stuffing envelopes for an actual business rather than trying to get people to sign up. Either way, not a good options! now this man has got his up for sale lolllll ha ha.. This post reminded me of my childhood. It might be a scam today, but back when I was a kid in the late 80’s early 90’s, my family actually did receive money for doing these type of work (stuffing envelopes, packing candy into plastic tubes, pencils, telephone shoes, tiny plastic dinosaur toys, etc). According to my mom, we didn’t pay any fees instead we got paid according to how many boxes/tubes we were able to pack up. Some guy would come to our house with all the supplies, show us how to pack, leave come back weeks later and take the completed boxes and left over supplies, and we would get paid. But then work started to dry up as technology started to replace people. According to mom, these type of work no longer exist. I can see it being legit in the 80’s or early 90’s. And that might be why so many people think it’s legit and sign up thinking that they’re stuffing envelopes for an actual company rather than a pyramid scheme. It’s definitely very misleading! My mom as well worked at home packing candy with little toys … I remember that she had the leaving room full with boxes and my sisters and I helped her and she gaved us us money as well… A man came every Friday to pic up the boxes payed us cash and left new ones … .. I saw this was real that’s why I think one of this work at home jobs might be as well .. Please read the post. Stuffing envelopes is a pyramid scheme. Not legit. I feel bad for you Alexa!! Your original post says it all!! the “stuffing envelopes from home” IS DEFINITELY a SCHEME & NOT LEGIT!! What does it take for people to get the hint?? How many times a day do you repeat yourself? I will be looking into your link for the Legit at home jobs. Thank you for the information, it was very helpful to me. I will love to be a milloniar. What’s a good online job for single moms? do they cost money to start? Hello my name is Renea and I can tell you that I have also done some investigating myself over the years and everything that I have tried for these work at home dose cost money from Herbalife, Avon and Mary Kay, are all legitimate but you do have to invest money. It is not a job it is more like a business. In starting any business you have to invest money there is no way around it and to be able to make it work you have to work hard at it. You will not get rich from it but you can make some money at it depending on if you have good people skills and you have to have a good clientele. These business’ are legitimate they have been around for a long time you can google them nd go from there. Also I would like to share with you one more thing in order to do half way good you should do more than just one well it has worked for me so far I have been doing them since the late 90’s. Really wish we could get a rey. What is a good job for moms at home???? I’m a single parent to a4month old baby girl.In need of income. Please give me the opportunity to show my work epics.I’m capable to learn and work hard. What would you suggest for a good make money from home job? I am extremely interested. This is NOT a multi-level marketing thing, it is a Pyramid Scheme (https://en.wikipedia.org/wiki/Pyramid_scheme) or a Ponzi Scheme (https://en.wikipedia.org/wiki/Ponzi_scheme) and they are illegal. Multi-level marketing is a legitimate industry, however many multilevel marketing companies create a “KILLER” compensation plan and then have to look around (really hard!!) to find a product they can run through it so it won’t technically be a Ponzi or pyramid scheme. 1- Does it have a product that you would buy at the price they are asking even if they didn’t have a business opportunity attached to it? Does it work? Does it resonate with you? Are you excited about it? Would you share it and recommend it to others even if there was no way for you to get paid for doing it? 2- Going along with number 1, What is the retention rate for customers? Many multi level marketing companies get excited when they have between 13-20% retention. A good company that has a winning product will have a 65-70% retention rate. That means for every 100 people that purchase the product, 65-70 of them are still buying at least every quarter a year later. If your product is not that good, you will struggle to effectively make money. Think about it. If you worked hard this year sell your product to 100 people and only 13 of them are still purchasing the product a year later, you have a major uphill climb to make up that income!! So much better to have 65-70 of them purchasing every quarter- that builds solid foundational residual income that will last as long as the product is awesome. 3- Research the Founders. Have they previously been shut down by the FTC? There may be a pattern here, and your hard work and reputation could be compromised if you proceed with that company. 4 More on the founders: What is the tone of the founders? Are they all about the money? Is there charity just an arm? Or are they sincerely interested in making the world a better place? Be sure their objectives resonate with yours. If you are a charitable person who sees problems in the world and wants to do something about it, you might be turned off by founders who are buying up islands and always talking about the money. If YOU are turned off by that, chances are the people who are ready to listen to you will be turned off by it too. Better to align with a company whose founders share your same values, and whose reports on what they are doing make you feel proud to be a part of it. 5- What does the compensation plan look like? How many people are breaking new ranks each year? What are the average earnings of each rank? How long have they been in business? Is their trajectory sustainable? 6- What are the financials of the company? Are they a debt free company? If they are carrying debt, do they have something (like a facility) to show for it? How long are they carrying the note? If they are privately held you cannot look this up, but if they are making good and sound financial decisions, they will be announcing that to you because they know that you want to know. If they are publicly held, they are owned by the shareholders, and therefore are not in control of their company, including product, compensation plan, and etc. and this could be a problem long term because the nature of a publicly held company is that the company must continue to work for a profit because it is a publicly held company. They have to keep growing their stock price in order to stay out of trouble with the SEC. If the company you are looking at passes your research, you have found a wonderful way to make money from home (not all from home! You will likely have to meet with people to teach classes, and give demonstrations at some point!) that can bless your family and give you freedom of choice in your life. If you are passionate about the product, that will be a blessing to you as well. It takes time to succeed in Network Marketing, but if you have a good product and are willing to look for places to share, anyone can do it. I personally know a woman who was living in a women’s shelter with her 2 children when she started with a Multi Level Marketing company. She had been given a sample of the product and found that it made a profound difference in her mood and levels of anxious feelings she was experiencing. Because of this experience, she wanted to buy more of the product, and because she wanted to buy it, she saw a market for it as well. She knew there were others who struggled with mood and anxious feelings, and she wanted to help. Since she was hiding from her ex and living in a shelter, she didn’t have a network to reach out to. So she created a network by going to the local YMCA and asking if she could set up a table and offer some free classes. They allowed her to do that and in a relatively short amount of time, her financial life changed significantly. She now travels around the world teaching about her product and continues to bless others with the product AND the business opportunity. There are some good companies out there, but they are few and far between, so PLEASE do your research. For MLM, they way I would suggest people look at it, is the MLM part of the business the main focus? Or are the products? If the company is pushing the MLM part of the business, which is how Amway and Vector Marketing work, then it’s bad news. I think Mary Kay and Avon are more focused on their products, and less on the MLM side. I could be wrong, though. It’s been known to happen. I think that’s a good way to look at it as well. Are there any legit MLM companies you would recommend? 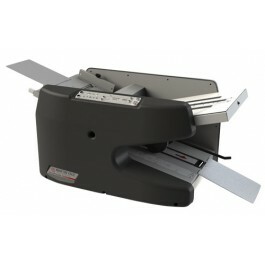 I am very interested in stuffing envelopes, I have a very bad back, So working a reg, job is not going to happen for me. This would be good, Please send me some info on how i could get started and what is the going rate of pay. ALL of the envelope stuffing jobs are scams. Please do not sign up with one! Hi I have a lot of health issues and need unskilled work that I would do from home. I hope you can point me in a good direction? Thanks for your site. Hi Angela, Checkout this post https://singlemomsincome.com/50-legitimate-work-home-job-opportunities/ There are a bunch of opportunities listed. I hope that helps. Best of luck! It is mind boggling how many people on this thread, after being presented with evidence as to envelope stuffing being a scam, then proceed to say they are interested in doing it. Absolutely blows my mind!!! No wonder scammers continue to make millions a year defrauding job-seekers! The envelope stuffing scam started sometime during the depression in the 1920’s. With the dawn of the internet, it really took off, with the U.S. Postal Service identifying it as the #1 scam. The U.S. Postal Service has stated they do not know of anyone who paid into an envelope stuffing scheme to ever make any money. The only person making any money are the scammer themselves! The FTC, BBB and various state Attorney General Offices work hard each year to shut down envelope stuffing scams! The state of New Jersey and FTC shut down Lord Preston and Maxwell Gates Enterprises in 2013, after they had scammed 7 million dollars from tens of thousands of envelope stuffing job seekers. November 2015 the FTC shut down Mason Grace / MG Enterprises for the exact same thing. Tens of thousands of people were scammed for millions. All were people looking to work from home. Most were the elderly, the disabled, single moms, college students and others who could NOT afford to the lose the $30-$399 they sent in to sign up for various program levels. All of the victims sent in their payment “to show they were serious” about the job. Most did not receive anything back. Those that did received flyers to be mailed to others around the U.S. to recruit them into doing the exact thing. In other words, to keep the scam cycle going. Those that did send out the flyers paid for the postage out of their own pocket with the promise they would be reimbursed. They never were, so they lost $ yet again to the scam. People, be smart. NO ONE is going to pay you to sit on your backside and put pieces of folded paper into envelopes. That doesn’t even make any sense! If a company has mass mailings, they are going to buy an envelope stuffing machine for a few hundred dollars that can fold, stuff, address and put postage on the envelopes at a rate of thousands per hour. They are going to do this and SAVE money on postage by getting a bulk mail discount. If a company has seasonal needs for mass envelope stuffing, they are going to either use a local business like Kinkos to do the job OR, they are going to call up a staffing agency and have a temps sent over for minimum wage. Don’t be fooled by a “money back guarantee”. Just how valid do you think a promise to return your money is going to be, when you are dealing with a scam artist? Go to yahoo or google and do a search on envelope stuffing scam. READ READ READ! Educate yourself. While you are at, do a search on common internet scams so that you can learn to identify all the other common types of scams going on. Finally, NEVER pay for a job. This envelope stuffing scam seems even worse than your normal pyramid scheme. No one ever gets paid. At least with a pyramid scheme, people get paid until it collapses. WHEN CAN I GET STARTED AND WOULD LIKE TO KNOW WHEN YOU ALL GOING TO SEND THE SEND TO ME. Tamika, There’s nothing to sen to you. If you read the post it outlines that this is a scam – nothing more. I am a senior with a sick husband, need to make money from home. Please let me know what would be a good work from home job. Hi Kathy, You can check out this list for ideas. https://singlemomsincome.com/50-legitimate-work-home-job-opportunities/ There are dozens of different jobs on there so you should be able to find something that will work. I hope this is not a SCAM , I am disabled I can’t find any work,can you please send me information on this before I join. This is why all you idiots are unemployed, you can’t read. Hello I just really want to know is there any real envelope stuffing jobs anywhere or is this all a big rip off. No, there’s not. It all works the same – it’s a ripoff. Oh my God. I cannot believe that there are so many stupid and lazy people out there. Look at how many fools just replied to your article with “I’m interested,” or, “how do I sign up to stuff envelopes from home?” Etc. Seriously folks? You are too flipping lazy to actually read Alexa’s article? You fools aren’t intelligent enough to make minimum wage and even if there were a legitimate envelope stuffing job, WHICH THERE ISN’T, you idiots wouldn’t have the brain power to do that anyway. Alexa, thank you for clearing up the info on this SCAM. Unfortunately, it looks like there’s a ton of gullible idiots who will continue to get ripped off because they were too lazy to read your informative article. They actually deserve to lose their money. Hell, I feel like scamming them myself. I could make a fortune just off the idiots who have already replied to this one article. Each of you brainless fools just send me $100 and I will send you a hand written letter explaining precisely why you are poor and will always be poor. I should be a millionaire in a week. Hahaha. does mailing envelopes from home really work. Actually this does work! Text me for info and how to get started!! 702 840 2842 text mailbox life for more info. This is a mail order offline business that does work and by the way everything on the internet is not a SCAMMMMMMM!!! I’ve been an internet marketer online now for 10 plus years and have made thousands a day online and this is a great offline business if you want cash to come into your own mailbox 6 days a week you have to do one thing……start!! Check it out!! text me! !